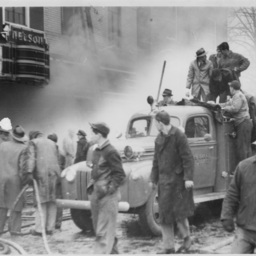 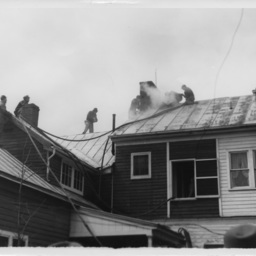 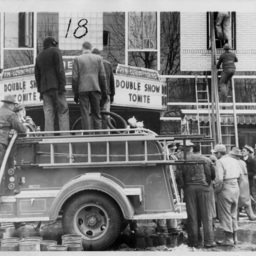 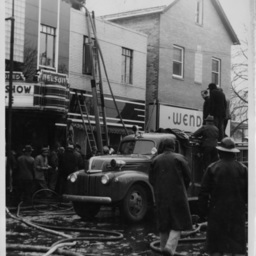 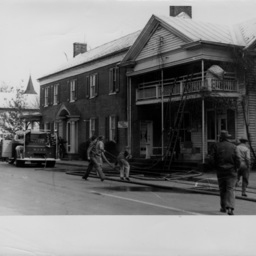 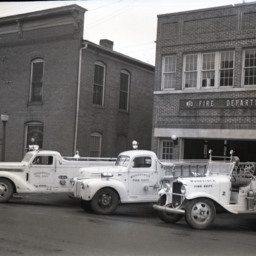 Photograph showing the Woodstock Fire Department. 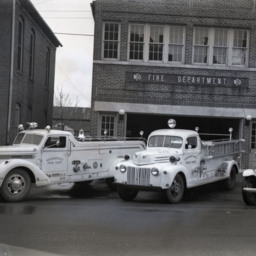 Pictured from left to right is their 1939 Diamond "T" engine, their 1942 Ford/Southern engine, and their 1931 GMC engine. 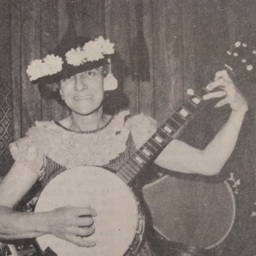 If you had attended a community event in the 70s, or 80s you might have found Betty Showman there, dressed as the popular TV character Minnie Pearl. 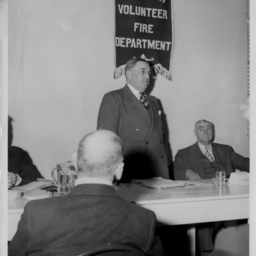 Photograph taken by William Hoyle Garber showing individuals at a function for the Broadway Volunteer Fire Department.